We all have to pay our Council Tax, but how many of us actually use the facilities our councils make available to us? Local libraries are a prime example of this; they're a free resource that many people either forget to use or simply don't feel the need to. In the age of computers, it is so convenient to either conduct research online or buy an inexpensive book straight from the internet, not to mention downloading e-books straight to your iPad or Kindle. However, with threats of closure all too regular an occurrence, I think it's time we rekindled our love for the good old local library. The library in East Sheen is centrally located on Sheen Lane and, as expected, is a big space filled with books. Yes, you can pretty much find anything you're looking for in the endless rows of paperbacks and hardbacks, and if you can't find it, then you can order it in. You will also find a wide selection of newspapers and magazines. There are plenty of comfy chairs and tables dotted around, so you can sit and browse to your heart's content. The library is bright and airy, and a pleasant place to spend time in. Of course, most of the books are available to take away, and as long as you return them in time, this is free to library members. The children's area has just been refurbished and is a welcoming corner for the kiddies to enjoy. 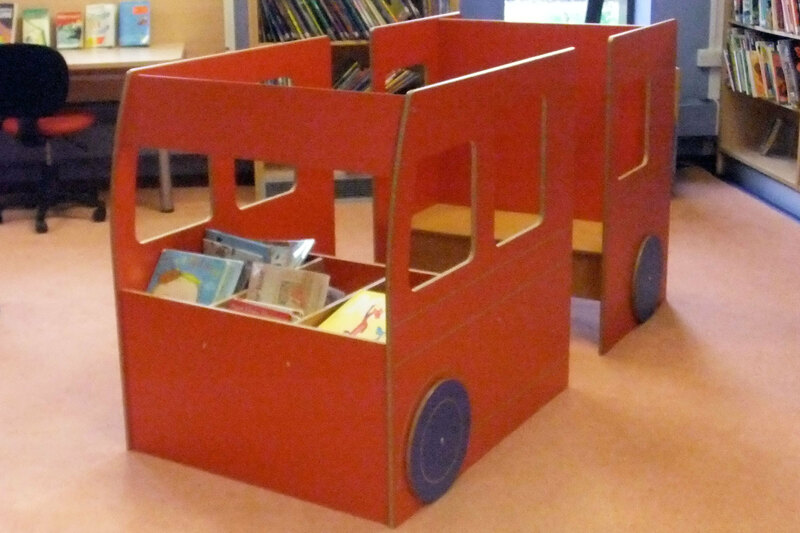 The big red bus is sure to tempt them in, as well as a squidgy sofa to climb upon and hundreds of books catering to all ages. 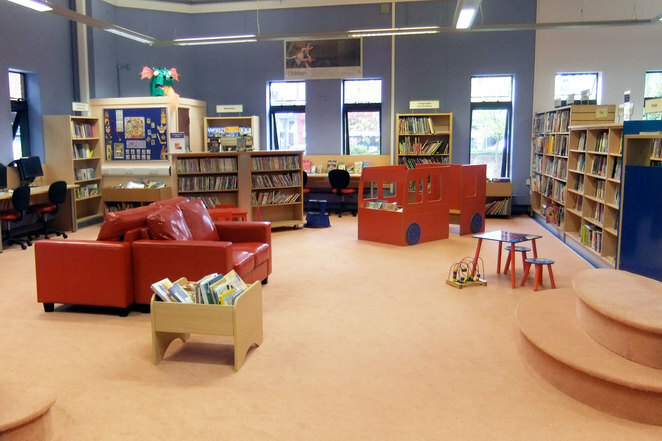 There are weekly storytime sessions on a Wednesday afternoon, as well as monthly 'Tiny Teddies' singalong sessions for babies and young children. The library is not just about books. There are CDs, audio books and DVDs to choose from too, which members can borrow for a small charge. There is also a whole section devoted to computers, which are free to use for a maximum of two hours per day. All the computers have Microsoft Office XP, Internet Explorer and a CD-Writer, plus there is a scanner, printer and photocopier available. As the PCs are in demand, you have to book a slot in advance in person or over the phone. 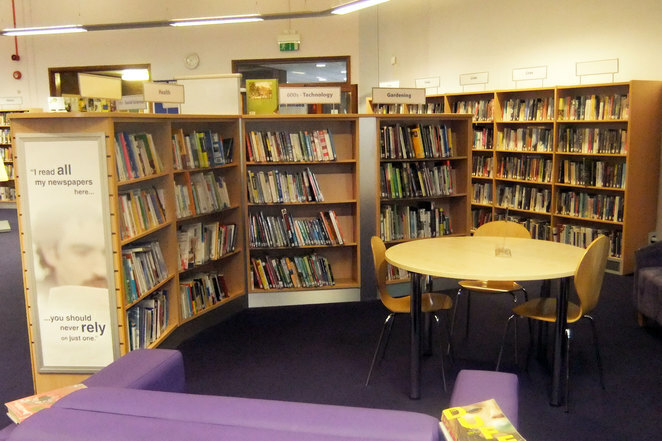 The library also has a monthly knitting group - 'Knot Just Knitting' - on the first Tuesday of the month, a monthly reading group on the second Wednesday of every month, and a new over 50s reading group on the last Friday of every month. 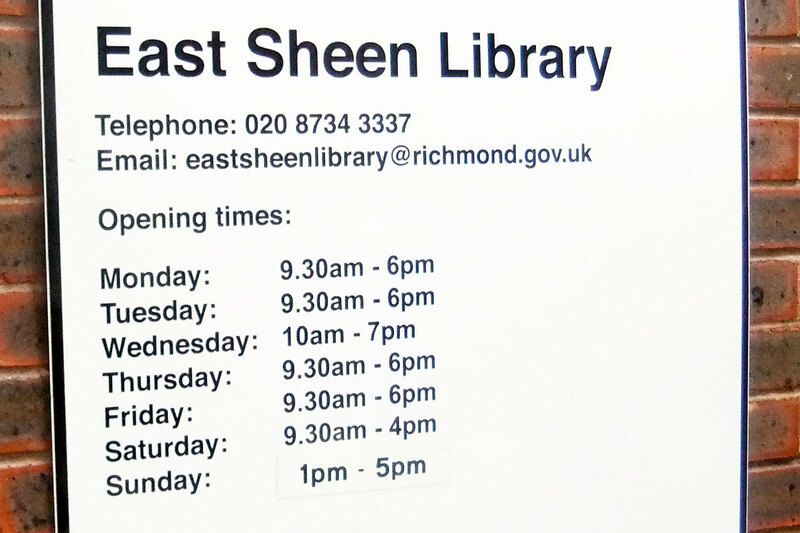 All the information about the library's regular events can be found on the website. 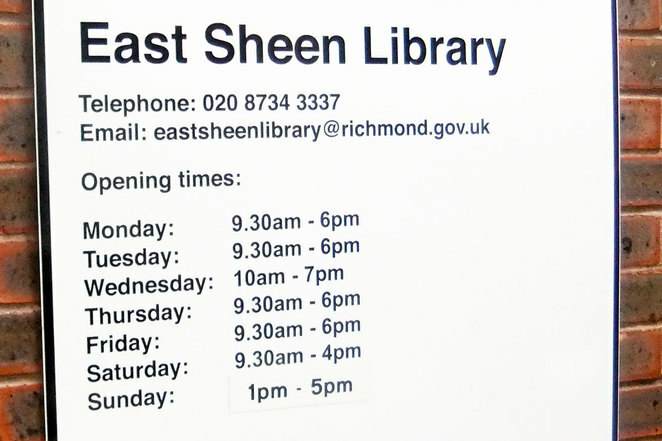 You can also renew books online, so there's no reason to ever have to pay a late fee. It is quick and easy to become a member. You can do some of it online, and the rest in person at the library (as you have to show ID). 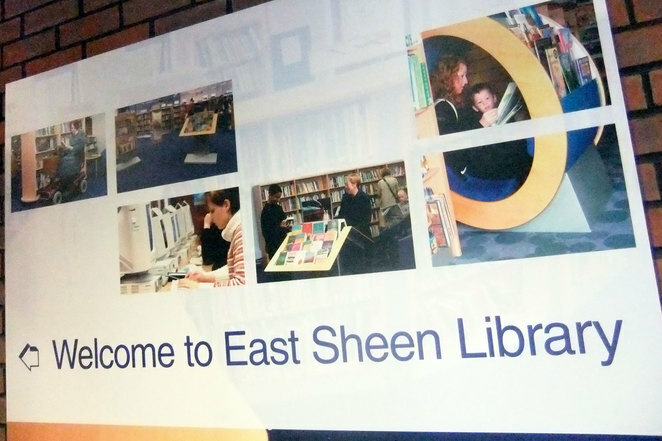 East Sheen Library is really close to Mortlake train station, and there are regular buses running up and down the nearby Upper Richmond Road. When: Mon, Tues, Thurs, Fri: 9:30-6:00. Weds: 10:00-7:00. Sat: 9:30-4:00. Sun: 1:00-5:00.